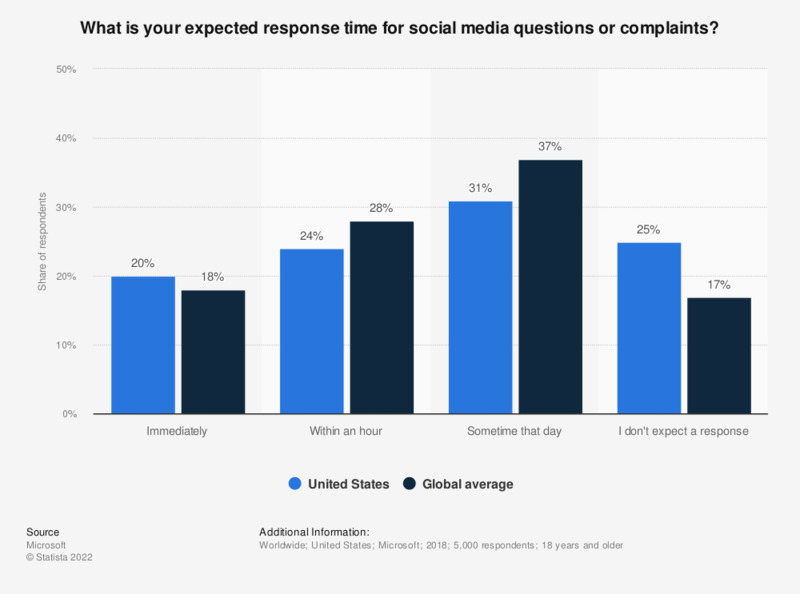 This survey shows the expected response time for social media questions or complaints in the United States and worldwide in 2018. During the survey, 31 percent of respondents from the United States, stated that they expect a response in 24 hours or less. Number of respondents is for the global survey. The source did not specify the number of U.S. respondents. In the past year, have you utilized social media to get a customer service response? In the past year, have companies generally improved or worsened in terms of how quickly you feel they respond to you over social media channels surrounding a general inquiry or complaint? If you have used social media to ask a customer service question, did the company respond?